The spring equinox, when the Sun enters the sign Aries, marks the beginning of the astrological year. As Sol begins a new circuit of his annual zodiacal path, he signifies a time of new beginnings and rebirth -- when the cyclic process of growth and evolution represented by the zodiac moves from the end of one cycle into the start of the next. This year, that process of "out with the old, in with the new" is even more emphasized by Mercury's retrograde in the final degrees of Pisces. The Mercury retrograde itself is often a time of tossing overboard things that have not been working, and moving forward with a clean (or at least, cleaner) slate. In 2019, Mercury undergoes that process in the zodiac's final degrees, just as the Sun passes through those same degrees on its way to a new beginning. And although the Sun enters Aries on March 21st, Mercury will still be retrograding in Pisces at that time -- not turning direct until March 28th, and not actually entering Aries until April 17th. Thus, the "new beginning" process may be (or at least, may feel) a bit dragged out this year. Symbolically, our minds and ideas (Mercury) may be lagging a bit behind our central selves and identities (Sun). In other words, although we may be taking a step forward on a new path in life, we may still have a few old and outmoded ideas that need to be revised or left behind in order to move forward fully and freely. And that period from mid-March through mid-April, when the Sun is in Aries but Mercury is still in Pisces, is the time to re-evaluate and make the changes. I hope your new astrological year is a great one! For the past couple of months, I have been bringing a new project into the world, and it has to do with the International Academy of Astrology (www.astrocollege.org). As you may know, I have been IAA's Technical Director since its founding in 1997. Now I've taken on a new role as well, as the Director of Media Distribution, in charge of managing IAA's ever-growing library of over 300 video courses and presentations. In addition to its globally recognized certification program in astrology, IAA also offers an ongoing series of lectures, webinars, and other courses, which are presented by some of the leading names in the astrological field. In addition, IAA founded and sponsors Breaking Down the Borders, the first three-day online astrological conference, which has been held four times since 2010, with the fifth installment scheduled for 2020. All of these lectures, webinars, conferences, and mini-courses have been recorded and offered for sale via download in the IAA online store. Now, however, we are moving into the modern era of streaming video by setting up a Media Studio powered by the Vimeo platform. In the IAA Media Studio, "buying" a video gives you permanent, anytime access to it. "Renting" a video, for a lower price, provides access for a week. Some videos are provided free of charge. It is basically an "on-demand" service like TV's pay-per-view. This arrangement provides much more flexibility to both IAA and the viewers. Viewers don't have to download and store videos, worry about losing them in a hard-drive crash, etc. If cost is a consideration (and when is it not??! ), viewers can now opt for a lower rental cost instead of the full purchase price, and still be able to take advantage of seeing the video. IAA gains pricing flexibility, the ability to reach a larger audience, a much more pleasing user interface, and additional distribution tools. The Media Studio was recently launched with videos from Robert Hand, Jodie Forrest, Joni Patry, Chris Turner, J. Lee Lehman, and many other leading astrologers. 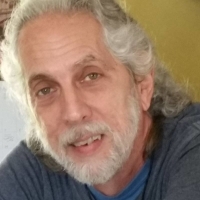 Topics currently include predictions for 2019, interpreting eclipses, electional astrology, horary astrology, astrology and aryuveda, astrology and addiction, and many more. Some videos are single lectures of about 90 minutes, while others are full "mini-courses" of anywhere from 2 to 6 classes. Videos continue to be added as new courses are held, and eventually the entire IAA back catalog of videos will be available as well. I invite you to drop by the Media Studio, check out some of the free videos, and see what else is available. I think you'll enjoy it. Here is the trailer for one video, "Astro*Carto*Graphy: Know Before You Go," featuring June Crane. 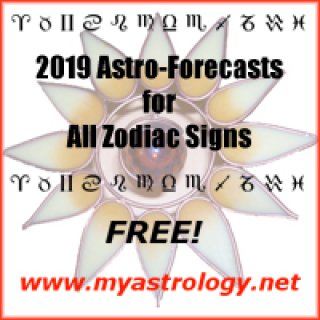 2019 Forecasts for all signs are available! They're free, so how could you resist? Check them out here! 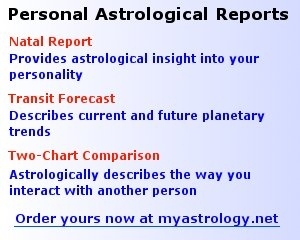 Each forecast has sections on Love and Relationships, Health, Travel, Home/Domestic Life, Money/Job/Career, and more! If you have an Android phone, you can take MyAstrology.net with you in your pocket for easy access to some of our most popular features. 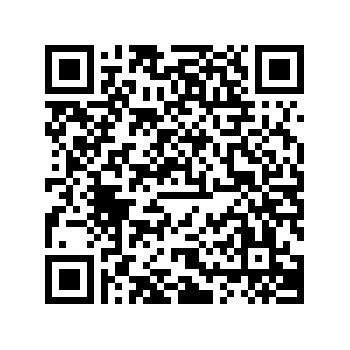 Simply download our free app from the Google Play Store. The app takes just a minute to install, is easy to use, and did we mention that it's free? If you're reading this on your phone, you can download the app now by clicking this link.